Welcome to the TiniStars & MSJ Family! We are proud to be able to offer a broad range of styles so that you can enjoy doing all the styles you love in the one place! We offer classes in Dance, Vocal and Musical Theatre (with many styles of classes in each stream), some take one class a week and others take 15 classes a week! Feel free to ask us questions, we are here to help you find the PERFECT class for you! 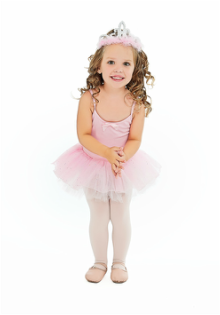 For our 6 and unders our amazing TiniStars programs are the perfect introduction to dance! View our Timetable online here and work out the best classes for your child. We are happy to help in any way, if you are stuck on the best option/s for your child, please email admin@msjproductions.com.au or call 0447 691 397. Please note: MSJ Phone is not answered at all hours of the day. View our MSJ Productions 2018 Membership Information (download below). This includes all prices, age groups, holidays, term dates and pricing for 2018. We are excited to be able to offer direct debit for all our customers in easy fortnightly payments. There is also the option to pay for the term upfront via direct debit too but you must notify us of this immediately on enrolment online so we can set up. All dates for direct debits are included in the Membership Information. Prices listed are for fortnightly payments. Once you have booked and paid your first fortnightly payment and registration fee your spot is secure. 1. 2018 Registration Fee - $35 for 1 student, $60 for 2 students, $70 for 3 students. This will be charged within 1-2 days of online registration. 2. Your first fortnightly payment for 2018. This will effectively mean you will not be charged first Membership date (as this will replace that date). This fortnightly payment will be charged to your card/bank account within 1-2 days of online registration. We will email you with uniform, membership and further info to get you started! !